First there was LocoRoco. 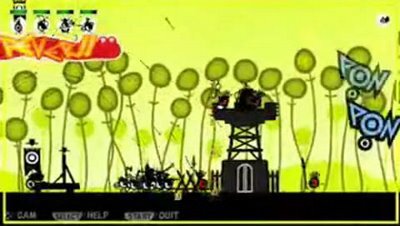 Now comes Patapon, a rhythm-based, 2-D scrolling war game of sorts. Check out the trailer: I’m serious: if anybody has a PSP that they don’t want anymore, I’ll totally take it off your hands. I have a little bit of Christmas money left.